​The Thai Bangkaew dog still remains virtually unknown around the world, despite recent Fédération Cynologique Internationale (FCI) recognition. In Thailand they are regarded as a precious heritage and has gained popularity throughout their country. 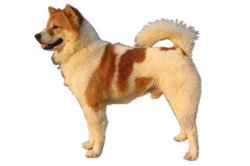 Is the Thai Bangkaew Dog Right for You?